There are many different types of air valves that are used when purchasing a air ride suspension system for your vehicle. One of the more popular type are the solid single brass style air valves witch use a very simple and traditional design to function. 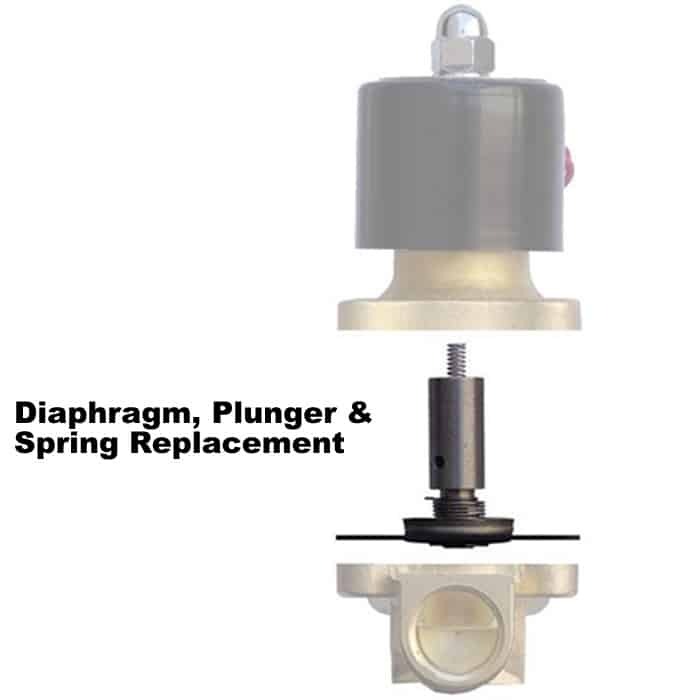 This design includes a coil, plunger, spring, diaphragm and housing. This extremely simple design makes them a very popular air valve to use as they are easy to install, fix and diagnose if there does become a problem with one of them. 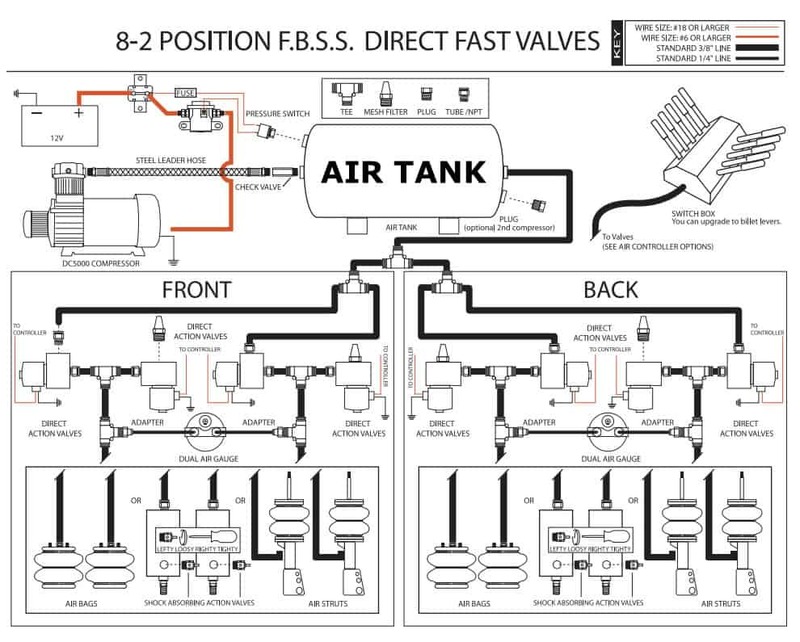 These pneumatic brass air valve units work by you sending a 12 volt charge through a manual push button switch or even remote module to a coil which in turn pulls a plunger which opens the flow of air to the destination which otherwise would be closed off by a coil style spring that is indie this assembly. Below you will find a complete breakdown the this series of parts, and should help you understand the way these basic pieces function to create an open and closed situation with the air flow in your air suspension system. Exploded view of a standard single brass air valve assembly.